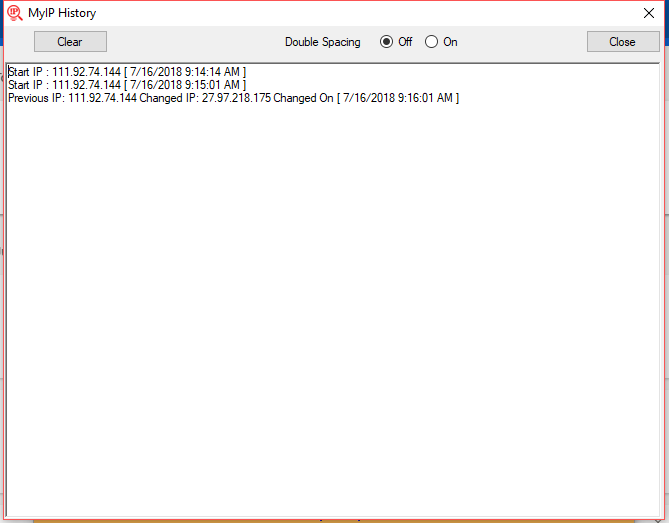 Small windows application to show Public IP address with Hostname and Proxy.Shows Local IP Address ,Hostname ,MAC Address .A nice Balloon style hint will also display when your IP address has changed or internet lost. 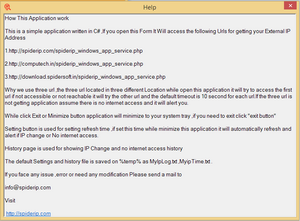 A log is also kept of all past IP changes .so you can look back and see your IP and internet connection downtimes. 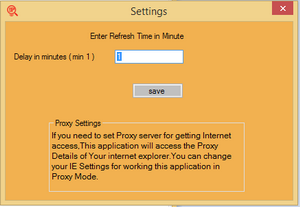 This Application will work quietly in your Windows system tray while click minimize or close button.Settings page is available to set the refresh time for checking IP and the minimum interval is 1 minute. An Export Button available to export all Details to notepad.Freeware,ad free and no installation required.Minimum system requirement is Microsoft Dotnet Framework 4.0 . 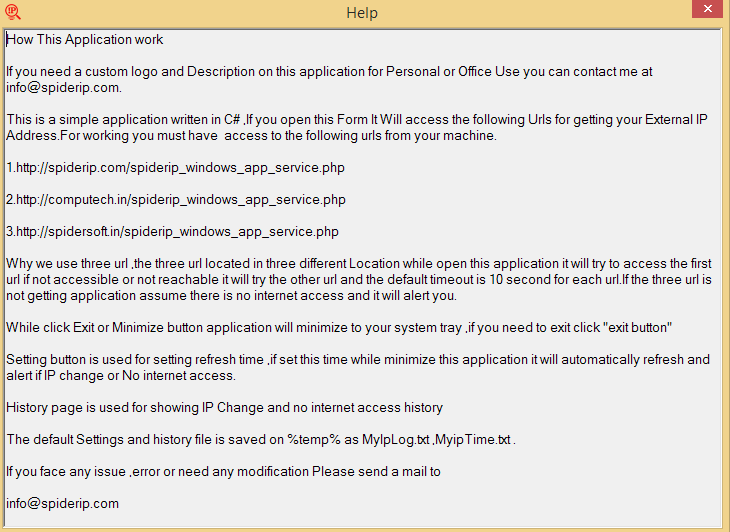 If you have a software listing Web site, and you want to add the utilities from spiderip into your Web site,you can download the PAD file that contains essential information about this utilities available in this Web site.